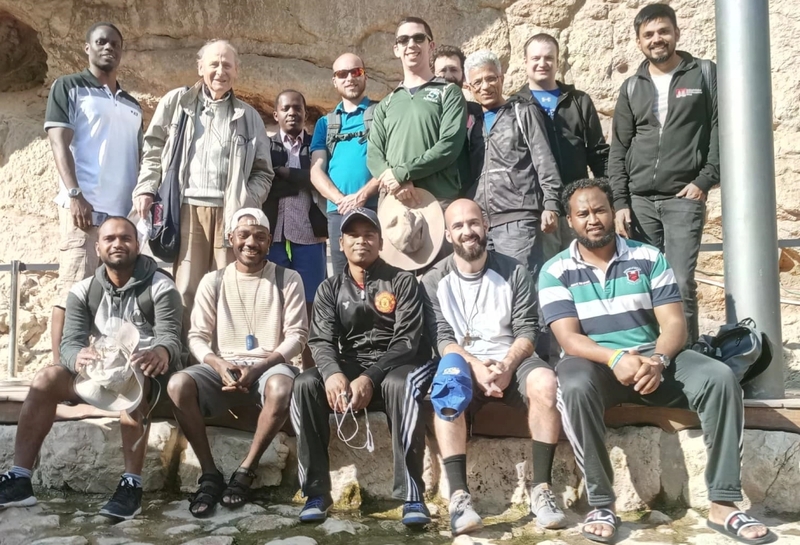 April 11 2019 - STS - Jerusalem On Thursday April 11th 2019, the 2nd Yr. Students of STS, were guided by Fr. Pol Vonck M. Afr. to the City of David, Jerusalem. 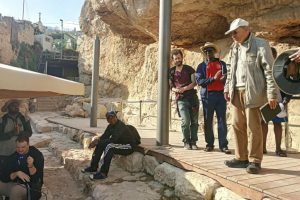 The visit began at the Dung Gate in the afternoon, from where we walked to the City of David. 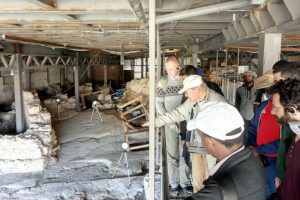 The City of David, closed to the neighborhood of Silwan on the outskirts of the Old City, is an archeological site which is speculated to compose the original urban core of ancient Jerusalem. 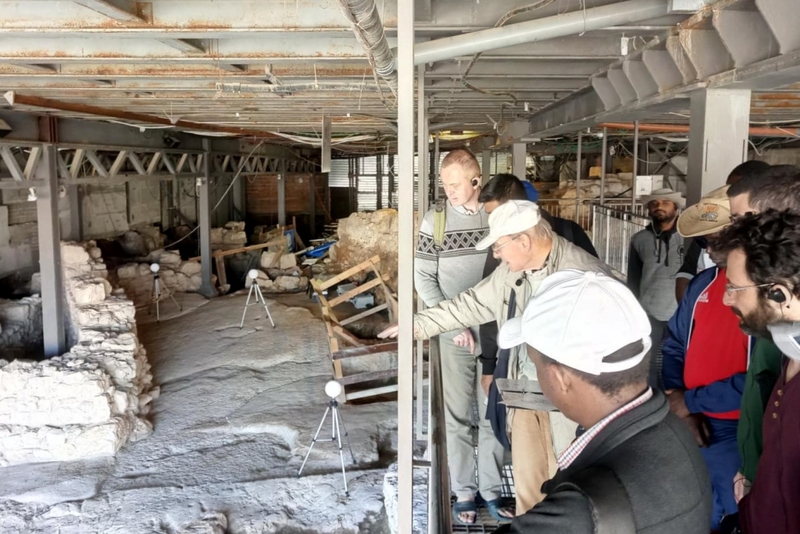 The main archeological sites that can be visited there are: The Gihon spring, which lies on the eastern slope of the south eastern hill of Jerusalem, and is generally considered the very reason why the city first emerged at this specific location; and the ancient water systems connected to the Gihon spring. This system includes natural, masonry built, and rock cut structure, namely, the Spring Tower, the Warren’s shaft (a natural shaft once thought to have been a water supply system), the Siloam Channel (a water system that preceded the Siloam Tunnel), the Siloam Tunnel (a water supply system where the Siloam inscription was found), and the Siloam Pool (two connected pools, an upper one from the Byzantine era, and a second one recently discovered belonging to the Lower Second Temple period). 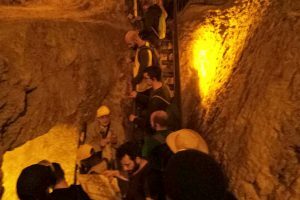 It was an amazing experience to walk through the tunnel which lasted for almost 20 mins, where inside such a pitch-dark narrow passage, the chilled water reached up to the knees. Our exit was at the Siloam Pool, where we ended our topographical visit. 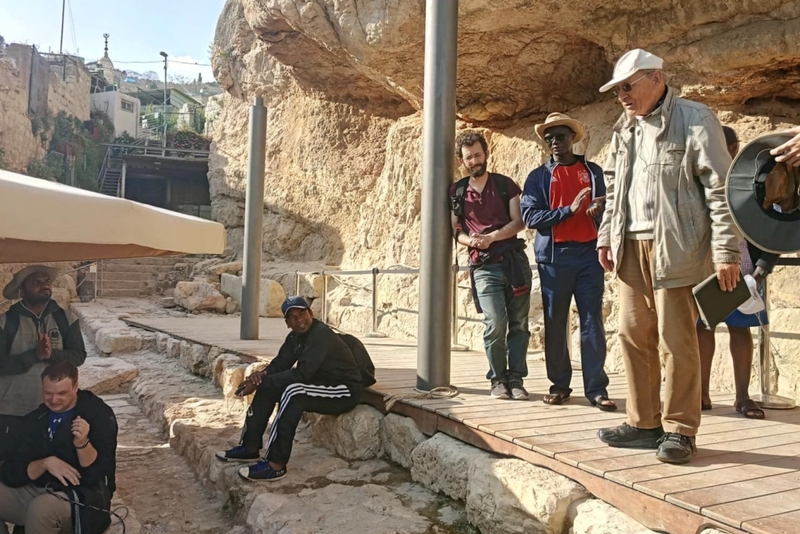 The fruitful visit once again filled each one’s mind with profound information, helping us to picture the life style of the people during that period.